Johnson&Johnson 1-Day ACUVUE® TruEye® Contact Lenses (90 Pack) - A single use, daily disposable lens that offers the most oxygen permeability of any daily disposable lens. Great for people with a busy lifestyle, who want the best for their eyes. 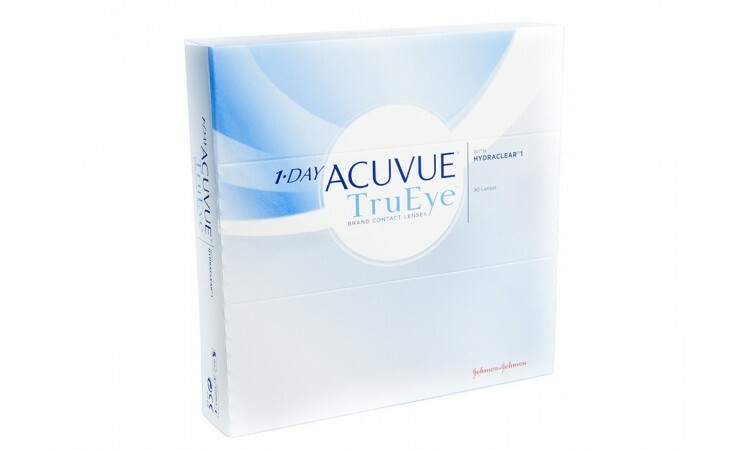 1-Day Acuvue TruEye contact lenses are an innovative contact lens designed to help maintain the natural state of the eye. It’s the first and only daily disposable contact lens made with a super-breathable silicone hydrogel material allowing almost 100% oxygen delivery to your eyes. This lens also features HYDRACLEAR® 1 Technology - unique, wettable, ultra-smooth properties which support the protective tear film in the eyes keeping eyes moist and comfortable.